Jimmy Doolittle wore these goggles during the 1920s and 1930s. Photo by Eric Long, Smithsonian National Air and Space Museum (NASM 2014-04798). 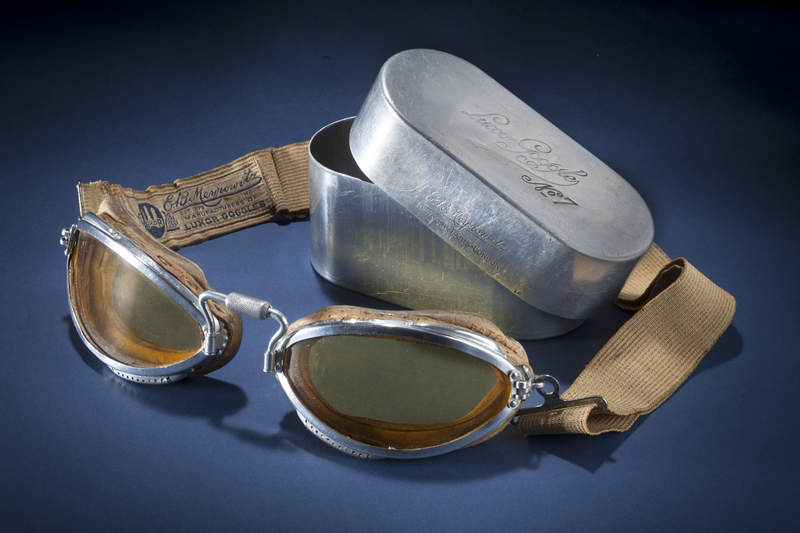 Find out more about E. B. Meyrowitz Flying Goggles and Case.